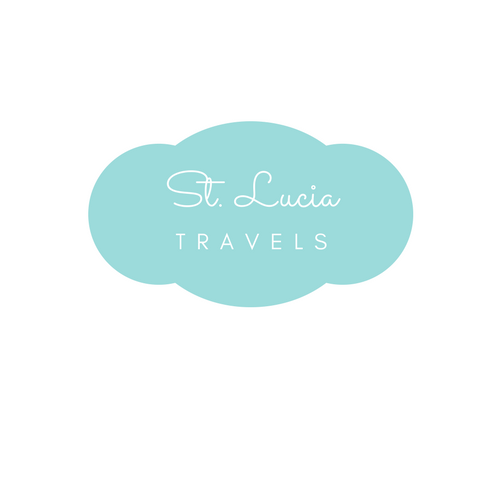 Ready to plan your family vacation to St. Lucia? Then we are ready to help you find the best all inclusive family resorts on the island! St. Lucia has so many beautiful resorts and there are more than a handful of family resorts to pick from. Trying to choose the best ones can pretty hard. That’s why I have come up with some of the best family all inclusive resorts on the island. Take a look and let me know which one really calls to you! Click the link to get more information and book your stay with your favorite one. The Habor Club in St. Lucia is one of the best all inclusive family resorts on the island of St. Lucia. It is located in the town of Rodney Bay, which makes it very easy to get to public transportation. It is rated number 4 of the best family resorts in Rodney Bay by TripAdvisor. The location allows it to be very close to many restaurants and bars, and some great nightlife. At this resort, there is also a swim up bar that you can literally spend the whole day in without having to get out for a drink! Breakfast at the Harbor is known to be phenomenal. You will leave feeling very satisfied. The staff at the resort make you feel warm and welcome, always greeting you with a smile and always ready to tend to your needs. Staying at this family all-inclusive resort in St. Lucia, the peace and tranquility you will feel, will make you never want to leave So what are you waiting for? Book your family vacation with the Habor club today!!! The Marigot Bay Resort and Marina is located in Marigot Bay, known to be one of the most beautiful Bays in the Caribbean islands. Staying at this all-inclusive family resort in St. Lucia you will never run out of things to do. Plan your day out right and enjoy many activities like zip lining, piton climbing, river kayaking and many more. All these can be booked through the amazing staff at the resort. At Marigot Bay Resort and Marina, there is a complimentary kids program to keep the kids occupied while the adults have some well needed alone time. This is ideal to ensure the perfect getaway for the whole family! Spend the day at the spa, and release some stress with their wellness and fitness options. Watch the sailboats float by whiles you enjoy a tasty meal at the hurricane hole restaurant. Staying at this resort you will want to make it your forever home! So book your stay with me today, trust me you won’t regret it. St. James Morgan Bay Resort and Spa is one of the many best family resorts in St. Lucia. Located a couple of minutes away from Rodney Bay, this all-inclusive resort has so much to offer, whether you are vacationing with your family, visiting as a couple or want to plan your special day the staff at this resort will make your stay one you won’t forget. This resort comes with four pools; three which are kid-friendly and one being exclusive just for adults. The views from your rooms can be anything from the garden to sea view, your choice. There are 6 different restaurants to choose from, so you can tease your taste buds with something different every night of the week. Don’t want to miss out on your workout while on vacation? There is a gym accessible to you and also a yoga group class. What are you waiting for, it is time to book your stay right here today!!! Bay Gardens Beach Resort is located in the town of Gros Islet, close to the nightlife and many bars and restaurants. This all-inclusive family resort is located right on the Reduit Beach, so you don’t have to go far for a nice cool swim on a hot day in St.Lucia. The rooms are spacious and come with their own private balcony. This makes it great if you are traveling with your family. Don’t feel like going out for breakfast? That’s no problem, these suites are unique in that they also come with a fully equipped kitchen. There is also a pool and hot tub available to you. Want to have a relaxing day? There are spa services that are offered to you along the beach with a beachside gazebo. Last but certainly not least, don’t forget to try out those phenomenal burgers at the hideaway restaurant. It will keep you coming back for more. Booked your stay in St. Lucia yet? The Coco Palm all-inclusive family resort is located in the lively town of Rodney Bay. This Boutique hotel comes with some of the best french creole decors. It is located steps away from Reduit Beach. Close to many bars and restaurants so you don’t have to go far to have a good time. Don’t feel like leaving the resort for dinner, that’s ok, you can try out Koko Cabana Bistro. Known for their Creole-infused cuisine and their many international dishes. The staff at this resort go above and beyond making your stay an unforgettable one. Staying here for your first time? Trust me, it won’t be your last. Book with us today to receive an experience of a lifetime. The Coconut Bay Resort and Spa is located in the town of Vieux Fort, close to St. Lucia largest airport, The Herrawanna International Airport and also close some of St.Lucia’s main attractions in Soufriere. There are so many things to offer at this all-inclusive family resort in St. Lucia. What makes this resort one of the best family resorts on the island you may ask? It comes with its very own water park. How cool is that? When you are traveling with your family, this resorts offers fun for both the adults and kids. There are 8 restaurants, plus a beach grill if you feel like throwing something on the grill. There are also 7 bars including a swim up bar, 5 pools including 2 adults only pools, and a fitness center. Wanna have some adults alone time? There is also a supervised kids club where the kids can enjoy many games and activities whiles you take that much-needed nap–it’s ok, we know you are tired. All in all, this is the perfect resort if you are traveling as a family, a couple or just some friends. Don’t wait, book your stay today!!! The Windjammer Landing Villa Beach Resort is located in Labrelotee Bay. It is great if you are traveling with family, going on a honeymoon or just a couples getaway. This all-inclusive family resort comes with many amenities. Booking the all-inclusive package, you will get your meals, beverages, wine, and champagne by the glass and most of the water sports activities. At this resort, there are activities to keep the kids occupied. There is a kids club hosted by Jacquot Fun Club for ages 4 to 12. Don’t worry there are also activities that your teenagers will enjoy as well. These villas come with spacious family rooms and a plunge pool in some of the villas. Windjammer Landing Villa Beach Resort is also great for a couples getaway, with some of the rooms having the perfect ocean views with their very own private jacuzzi. Don’t forget while staying at this resort you must spoil yourself with a spa day, maybe leave this for the day you travel back to reality. 2019 is fast approaching and vacation plans are being made, I just want you to have the best family vacation while traveling to St.Lucia. These 7 resorts will give you just what your family is looking for; fun, relaxation and all around just a good time! Click the links to book your favorite resort for an unforgettable stay in St. Lucia today!! I’ve only gone the all-inclusive resort route once and had such a good time so I would definitely do it again. After reading about these resorts I’ve now put St. Lucia on list of places to visit.